From best-selling and award-winning author Kevin Brockmeier: a new novel of stunning artistry and imagination about the wounds we bear and the light that radiates from us all. What if our pain was the most beautiful thing about us? In the aftermath of a fatal car accident, a private journal of love notes written by a husband to his wife passes into the keeping of a hospital patient, and from there through the hands of five other suffering people, touching each of them uniquely. I love the soft blue veins on your wrist. I love your lopsided smile. I love watching TV and shelling sunflower seeds with you. The six recipients - a data analyst, a photojour­nalist, a schoolchild, a missionary, a writer, and a street vendor - inhabit an acutely observed, beauti­fully familiar yet particularly strange universe, as only Kevin Brockmeier could imagine it: a world in which human pain is expressed as illumination, so that one's wounds glitter, fluoresce, and blaze with light. As we follow the journey of the book from stranger to stranger, we come to understand how intricately and brilliantly they are connected, in all their human in­jury and experience. Does your understanding of the Illumination change throughout the novel? Why or why not? What do you think it is, and what causes it? Discuss the structure of The Illumination. What is the effect of dividing the book into sections? With which characters did you most identify? Why? How do the epigraphs that begin each section of The Illumination evolve throughout the book? Does the change in tone of the epigraphs reflect how the characters' reactions to the Illumination change? And, your own? Why or why not? The Illumination is a work of sheer imagination laid over the gritty reality of modern life. In beautiful sentences, with startling images of injuries, bodies, color and light, Brockmeier creates a symphony in six movements that brings a reader face to face with life in all its harsh reality and unlimited possibility. (Reviewed by Judy Krueger). A capable writer, Brockmeier... succeeds in describing the depressing circumstances of the characters, along with passing observations of a fragmentary and disorienting nature. Some readers may find this uplifting and inspiring, but others will feel pained by the suffering the novel seeks to illuminate. Starred Review. Brockmeier's spectacular latest... gives readers an inspiring take on suffering and the often fleeting nature of connection. Starred Review. This is a radiant, bewitching, and profoundly inquisitive novel of sorrow, perseverance, and wonderment. Kevin Brockmeier is a master at storytelling. Each one of his books is better than the last and "The Illumination" is no exception. You feel that you are right there with each of his characters. This is a must read. 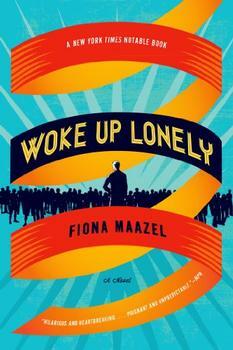 Woke Up Lonely is an original and deeply funny novel that explores our very human impulse to seek and repel intimacy with the people who matter to us most. 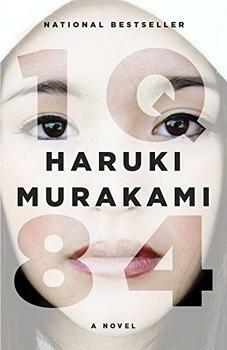 A love story, a mystery, a fantasy, a novel of self-discovery, a dystopia to rival George Orwell's - 1Q84 is Haruki Murakami's most ambitious undertaking yet.